Miss Pearl Williams attended the St. Martin’s Primary School. From there, she moved on to the Convent High School and unto the academic section of the Clifton Dupigny Community College. Miss Williams, is a proud recipient of the Sir Arthur Lewis Indigenous Scholarship Programme from the University of the West Indies. 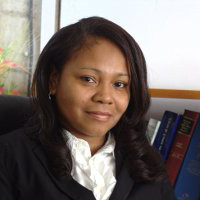 Upon completion of her Bachelors in Law (LLB) from the University of the West Indies, she pursued her Legal Education Certificate at the Hugh Wooding Law School in Trinidad & Tobago and was called to the Bar in October of 2010. Mr. Graneau started his education in 1963 by attended the Atkinson Primary School. 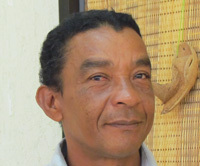 In 1980, he travelled to Cuba to pursue a diploma in Political Science which he completed in 1981.